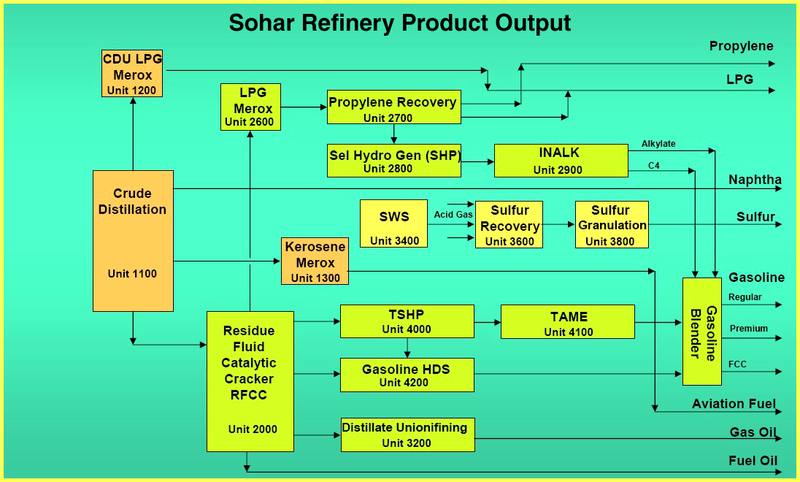 Oil-Electric: Where the heck is Sohar? Following the A Whale and the Vale Brasil produced an interesting story telling paradigm. The longest iron ore mining railroad in the world. The 1st and 5th largest oil refineries in the world. 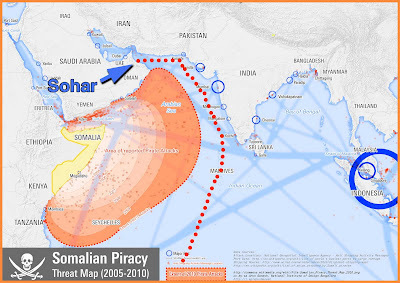 So where the heck is Sohar, and how did we get there? Well, we followed Vale's Vale Brasil, at 400,000 dead weight tons, the largest bulk carrier in the world. At the conclusion of her maiden voyage from Ponta da Madeira (PDM) to Taranto, Italy, she returned to PDM. 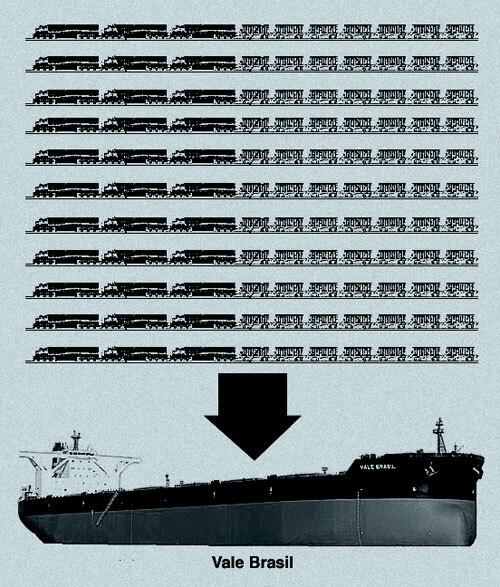 On August 6th, she began loading 389,900 tons of iron ore. That's roughly the equivalent of 3,899 ore cars, or almost 12 - 330 car train movements from the Carajas Mine. 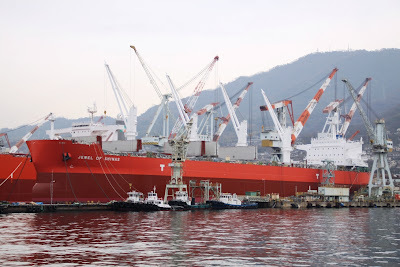 Det Norske Veritas (DNV), a global risk management organization, classified the Vale Brasil, as an "Easy Loading" vessel. 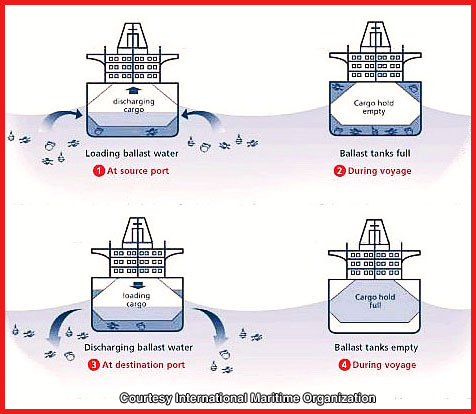 This refers to ballast pumps and piping of dimensions sufficient to cope with this synchronized system of moving ballast while loading or discharging iron ore at very high rates (13,500 tonnes per hour is standard) in any one of the ship's seven vast cargo holds. 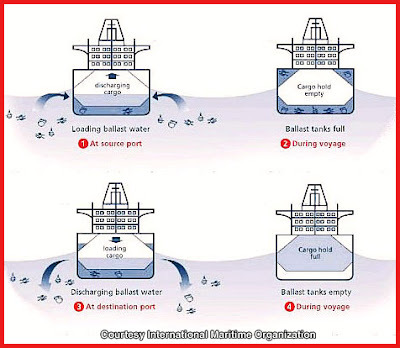 In other words, the weight of ballast water discharge has to equal the weight of iron ore being loaded in the holds, to prevent destructive stresses and forces on the hull. This is the result of not meeting "loading tons per hour" specifications. 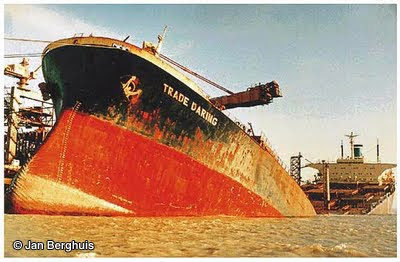 The OBO (Oil Bulk Ore) Trade Daring broke her back - literally snapped in two - whilst loading iron ore at Ponta da Madeira on November 11, 1994. On Monday August 8th, Vale Brasil set a course beginning a 36 day run of more than 8,000 nautical miles; destination Sohar, Sultanate of Oman. Because of pirate activity, the Vale Brasil with her $69.2M USD cargo, was routed well away from the Horn of Africa, before making a sharp left turn into the Gulf of Oman. Vale Brasil arrived at Sohar on September 9th, and is currently at anchor, waiting berth space on "The Quay." 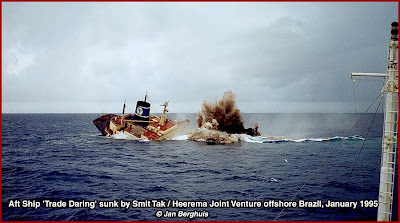 This morning's (Tuesday) Shipping Report shows Vale Brasil has been swinging on the anchor for four days. And that is expensive. Vessel overhead, perhaps in excess of $75,000 per day, is chewing into profit! Sohar has a rich and fabled history as a major seafaring port during the Middle Ages. 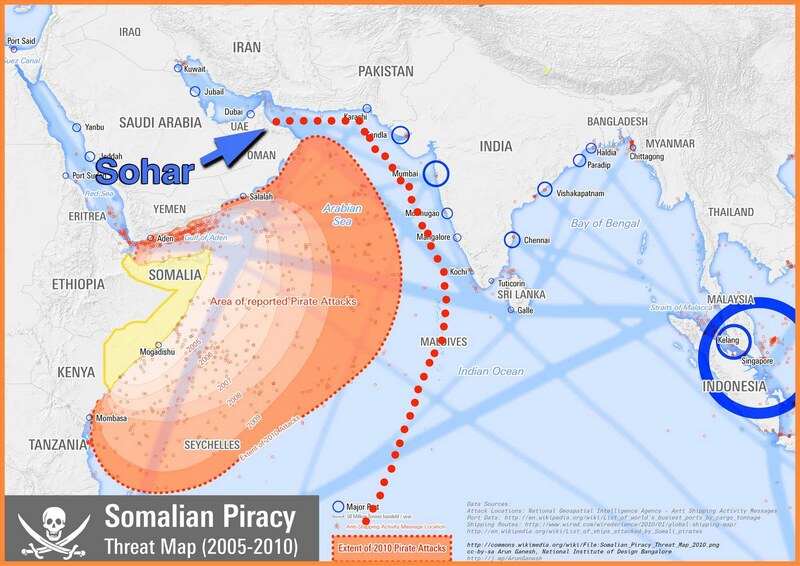 Sohar enjoys a strategic position to the Straits of Hormuze. 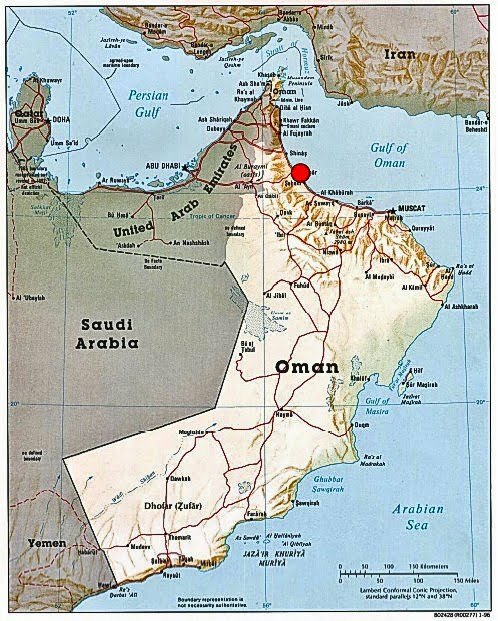 Sohar is reputed to have been the home of "Sinbad the Sailor." Many oil-producing countries are looking toward the future. They accept the reality of depleted oil reserves. So they are laying the foundation for "Life after Oil." Most visible is Dubai, whose major infrastructure accomplishments provide hours of fascinating viewing on the Discovery and Science Channels! 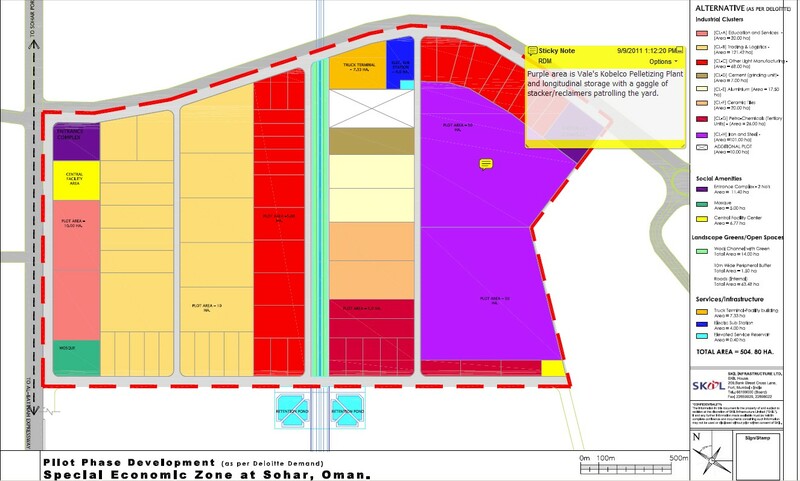 By a Royal Decree, a land area of 132 km2 (51 square miles) was designated as the Sohar Industrial Port Area. 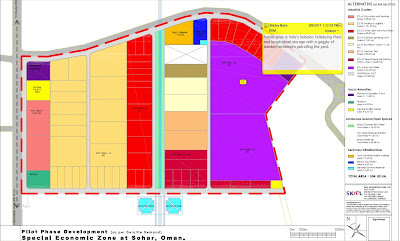 The mandate, to develope Sohar port and energy based industries. And to supply power and water for these industries, a massive power generation and desalination plant. 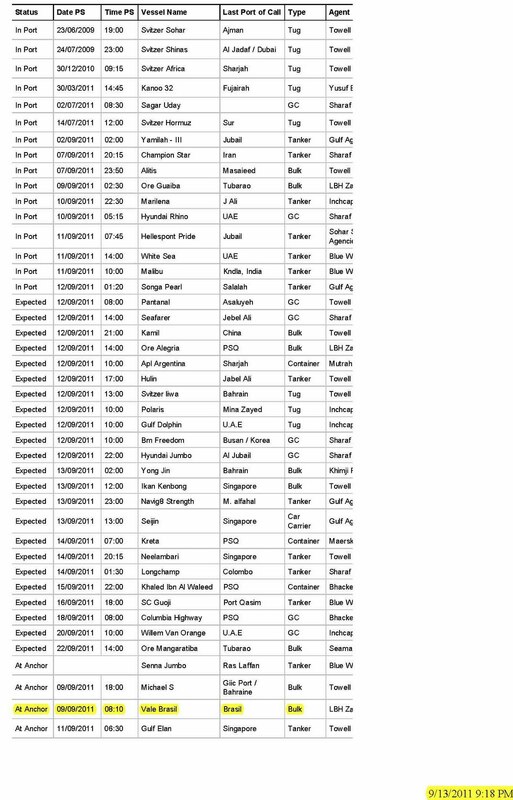 Those are the major installations. Many more have been established. 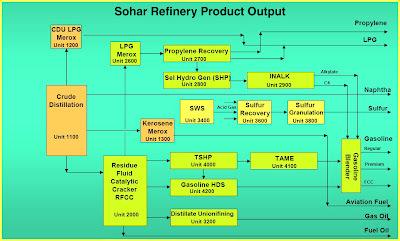 The Sohar Oil Refinery was commissioned in 2006. 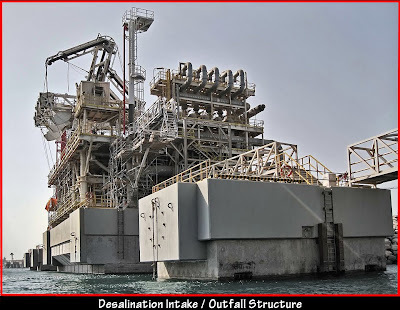 It receives fuel and crude oil from the Mina Al-Fahal facility via a 266 km (165 mile) pipeline. The refinery has an output capacity of 116,000 barrels per day. 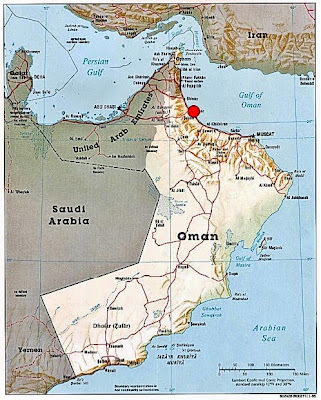 In June 2010, Shell Marine and Matrix Marine (both in partnership with Oman Oil Marketing) began offering marine fuels (bunkering) to vessels calling at the port itself or calling at the extended anchorage area. 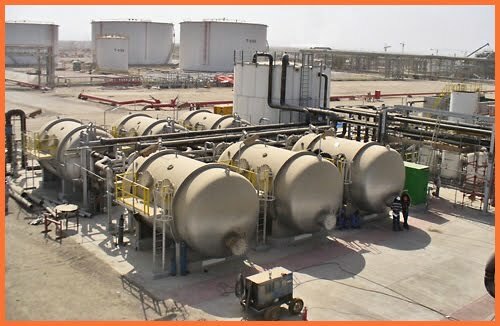 Output from the refinery also goes to the manufacturing of fertilizer, methanol, polypropylene, and polyethylene, with all processing plants located with the Sohar Industrial Zone. 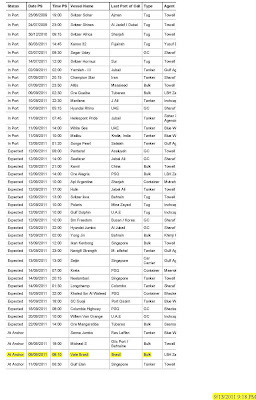 Sohar Aluminum Company went on line on March 1, 2009. Sohar Aluminum Company (SAC) is the first aluminum smelter operating with 1650 V DC, and with 360 pots it is the longest potline in the world. SAC is the world's largest, most technically advanced aluminum smelter potline in the world. The electrical power supply for the project includes five giant 103kA/ 1650VDC power rectifier transformers, the most powerful ones ever built, each weighing over 300 tons, five AC 800PEC high speed control and protection units for the rectifiers, a level-2 SCADA (Supervisory Control And Data Acquisition system) for the rectifier station and the 220kV gas-insulated substation as well as the medium and low voltage distribution. Oman Shipping Co has a 15-year contract with Sohar Aluminum to carry 690,000 metric tons of alumina from Australia to Oman. Two dedicated 57,000 dwt Supramax bulk carriers, the Jewel of Sohar and Jewel of Shinas, will deliver loads of 55,000 metric tons from Gove in Australia's Northern Territory. In August, the 1 millionth ton of aluminum was poured. "The world's largest producer of iron ore, Vale, commenced the first phase of operations of its $1.356 billion Pelletizing Plant and Distribution Center in Sohar. The plant will serve as a hub, catering to the growing demand of iron ore products in the Middle East, North Africa and India. 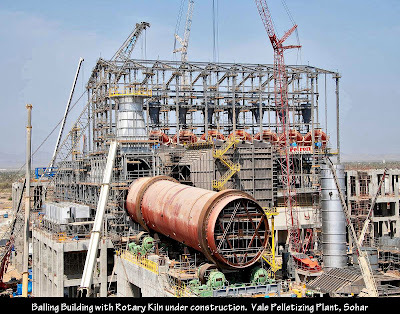 Vale's industrial complex comprises of a two-unit palletizing plants, each with a capacity of 4.5 million metric tonnes of direct reduction pellets per year. It also has a distribution center with an annual capacity of 40 million metric tonnes." Vale company contracted with Sohar Industrial Port Company to build a 1.5km (4,921 foot) quay to be used and operated exclusively by Vale at Sohar. The quay became operational in June. Three ship-loaders and one ship unloader have already been installed. 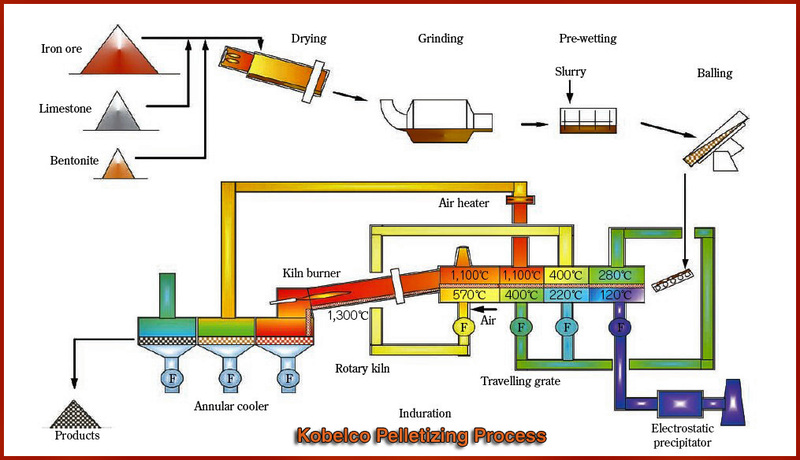 Kobe Steel did the basic design of the process areas, including mixing and pre-wetting of raw materials, balling, indurating (hardening) and screening. With a total pellet production capacity of 18 million tonnes/year, this plant is to become a supply base stockpiling forty million tonnes of iron ore for the region. 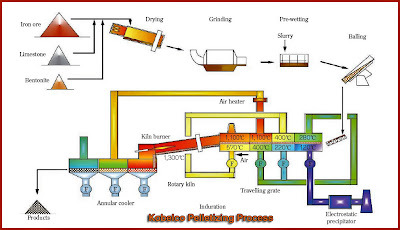 The choice of a KOBELCO pelletizing plant was made in consideration of the high quality pellet production of Kobe Steel's grate-kiln-cooler system. And to feed the diet of the pelletizing plant, the Oman Shipping Company has contracted to build four very large ore carrier ships, see page 14, similar in design to the Vale Brasil, with a capacity of 400,000 tonnes, to carry iron ore from Vale's mines in Brazil to Sohar Port, as part of a long-term agreement between Vale and Oman Shipping Company. The four vessels will maintain a shuttle run between PDM and Sohar. Electrical power and fresh water is provided by Stomo (Suez Tractebel Operations & Maintenance), providing potable water and power 24 hours a day, 7 days a week. The desalination plant delivers 150,000 m3/day (5.29 million cubic feet/day) of potable water. Potable fresh water is obtained by processing seawater by a massive Seawater Intake and Outfall structure. 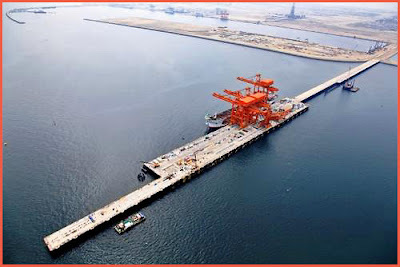 Seawater intake capacity: 334,000 m3/h (117.9 million cubic feet/hour). Outfall, return, designed for a maximum flow rate of 325,000 m3/h (114.7 million cubic feet/hour). The total value of the project is $52,081,780 US Dollars. 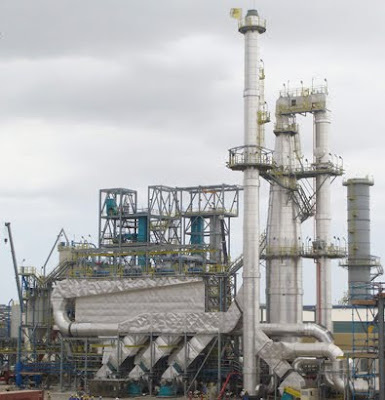 The power generation plant uses three Siemens SGT5-2000E gas turbines. Power generation burns natural gas - not dirty coal or bunker oil - setting new responsible standards for a low carbon footprint, while seriously addressing Global Warming. 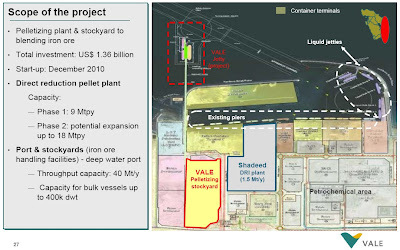 Vale Brasil has been riding on anchor for almost a week, with 389,900 tons of iron ore, worth an estimated $69.2M USD. Once she is landed at the quay, it will take the ship unloader 9 days, running at 1,800 tons per hour, to unload the Vale Brasil. I really enjoy your investigative reports. Another very good read. The last paragraph however is particularly telling...and true.